Commercial hold-downs are a great way to keep your work firmly in place. But you can make your own like this one quickly and easily. 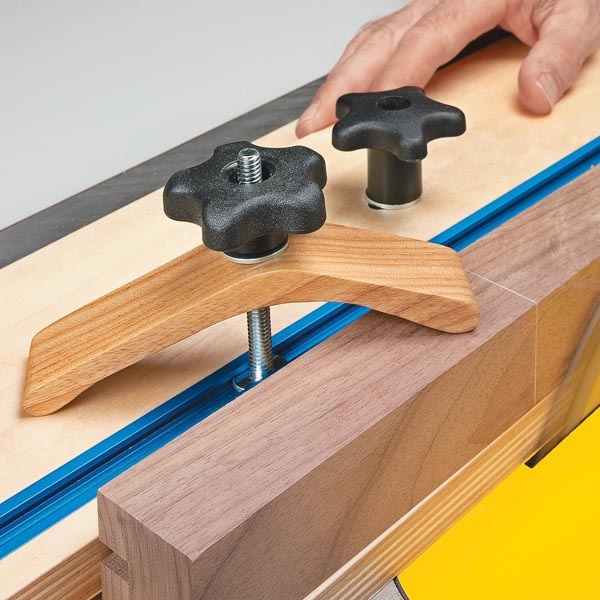 To make this hold-down, you’ll want to use hardwood. Any type will do. 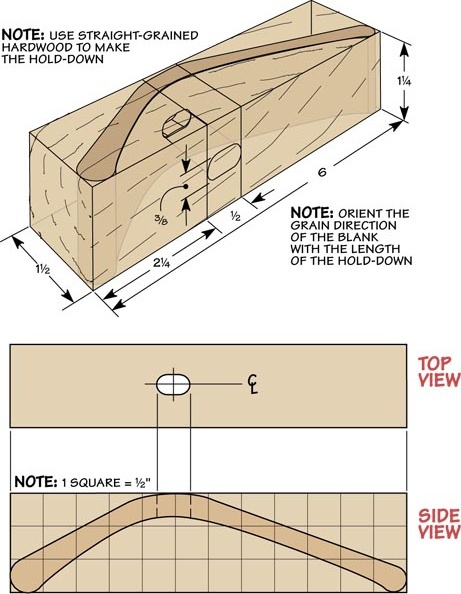 What’s more important is that you’re careful to align the grain with the length of the clamp. This way, you don’t have to worry about the clamp cracking when you apply pressure with the knob. To make the hold-down, transfer the pattern to the face of your blank. You can lay out the pattern using the grid marks. It’s a good idea to drill the holes for the slot before shaping the hold-down. The slot provides clearance for a flange bolt. To make the slot, I drilled a pair of holes on the drill press and then cleaned up the edges of the slot with a chisel and small file. All that’s left to do is cut out the hold-down on the band saw and sand it smooth.